Hare Racing Moments!…Go Gert, Go! You could cut the tension with a knife! Who would have thought a small patch of grass would cause such a sensation! 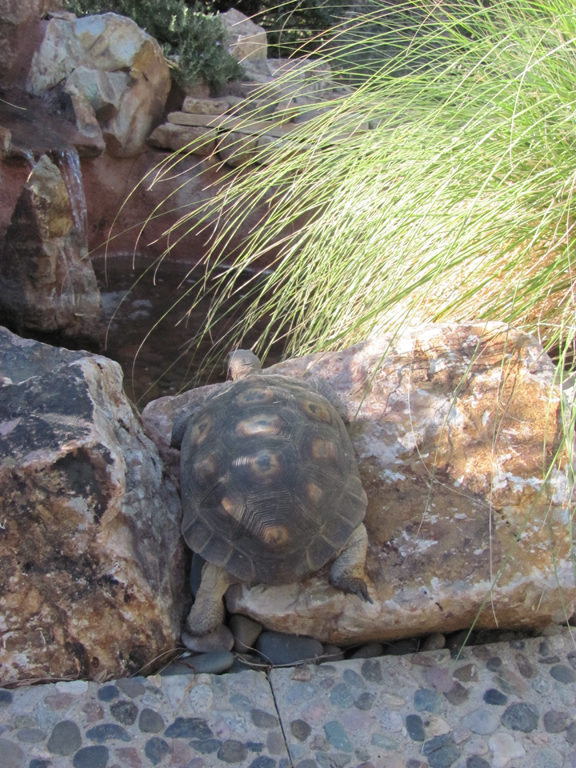 Todd has been working on the Tortoise garden since last Spring, planting and landscaping. 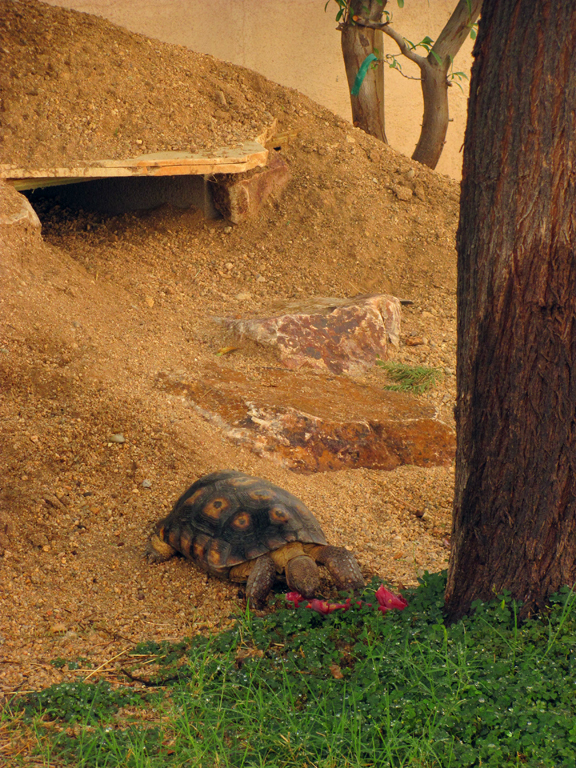 Gerti (our desert tortoise) loves it! But then, so do all of the other critters in the yard! 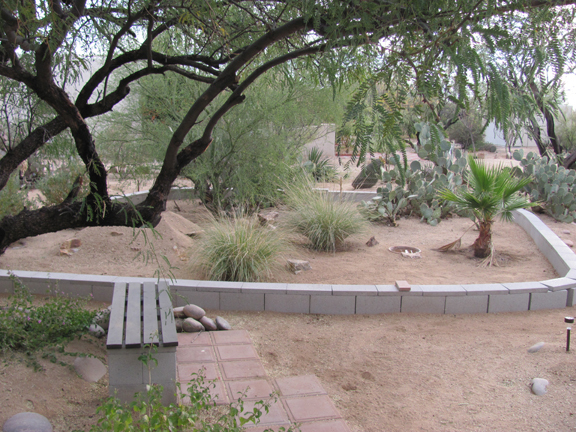 The lush little patch of grass is nirvana in the desert! Needless to say, I don’t think Gerti is real happy to share…. but then, how fierce can a tortoise really get to defend it’s territory? She can be somewhat creative in her tactics! 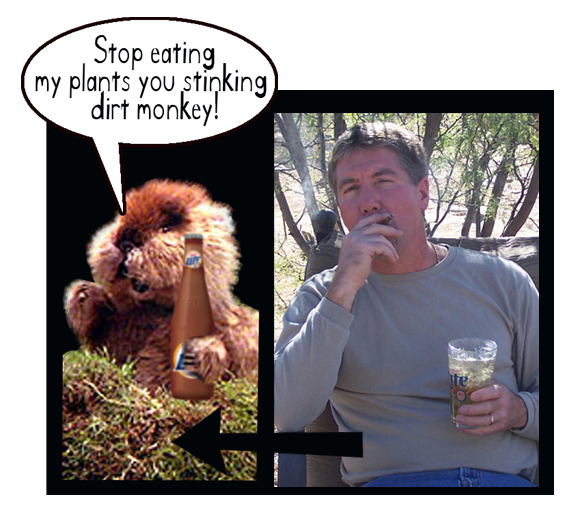 But I think she may need to come up with another plan for the dirt monkeys…. She may just have to let Todd take care of that little problem! 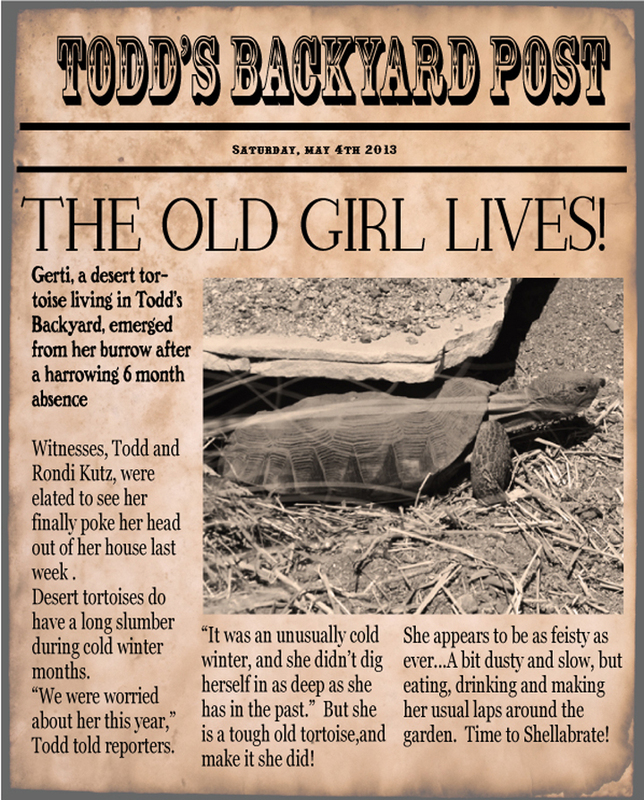 It’s finally hibernation time for our resident tortoise, Gerti (a.k.a. the Torta Lisa). 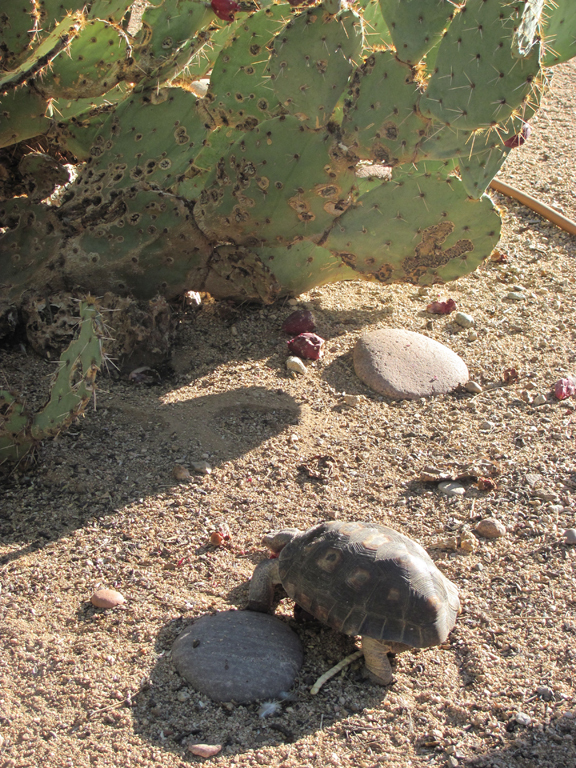 A few weeks ago, Todd built a beautiful new tortoise habitat, with a warm southern exposure. 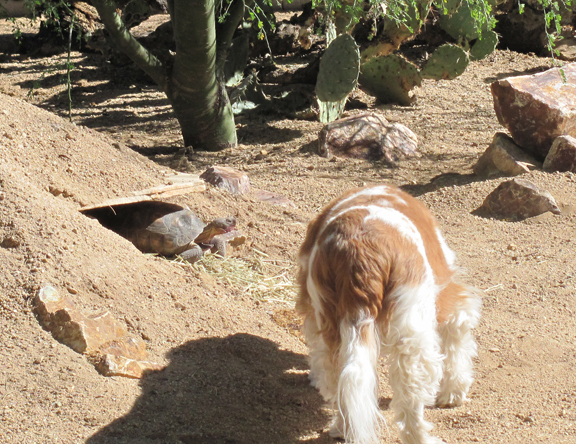 Luckily, she seemed to like it, taking right to her new burrow. The rest of the ‘gang’ likes her new house as well! 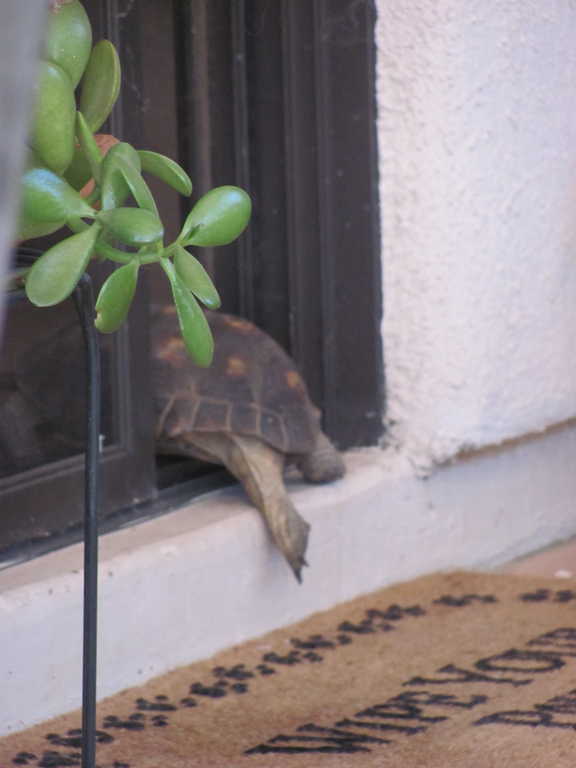 Even as of last week, Gerti was still poking her head out to enjoy a little warm afternoon sun. Cooper has found a new spot for winter sunbathing as well…. 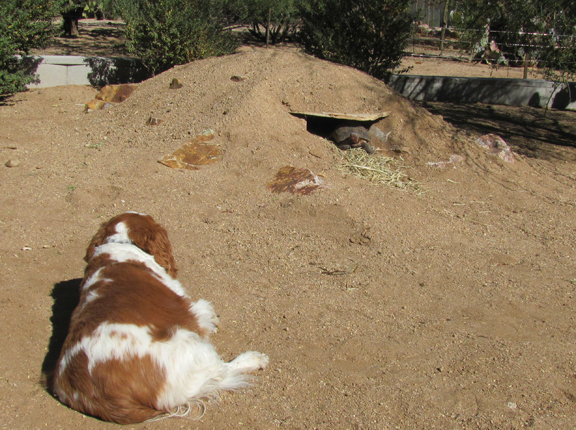 Gerti’s burrow sits in the perfect spot to stay warm in the sun, until it sets. So we won’t have to be too worried about her freezing!…..I hope! We haven’t seen her for the past few days, so I think Gert is down for the winter. 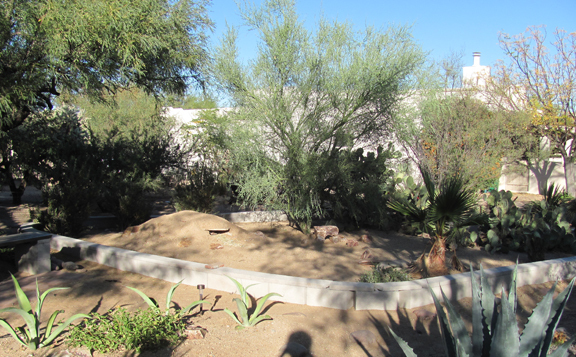 When she wakes back up in the spring, Gerti will be greeted with a new landscape which will include a shallow pond, a lush grassy lawn of tiff and clover, and native plants that tortoises eat, such as hibiscus, morning glory and of course her favorite prickly pear! Todd’s already started with some clumps of deer grass…. And then, Todd’s next project is going to be cementing and painting the wall, then cap it with brick….should be a great addition to Todd’s Backyard! I just wonder how the rabbits, squirrels, lizards and other assorted yard dwellers are going to share Gerti’s little plot of paradise! Hopefully, it will put a little happy in everyone’s habitat!